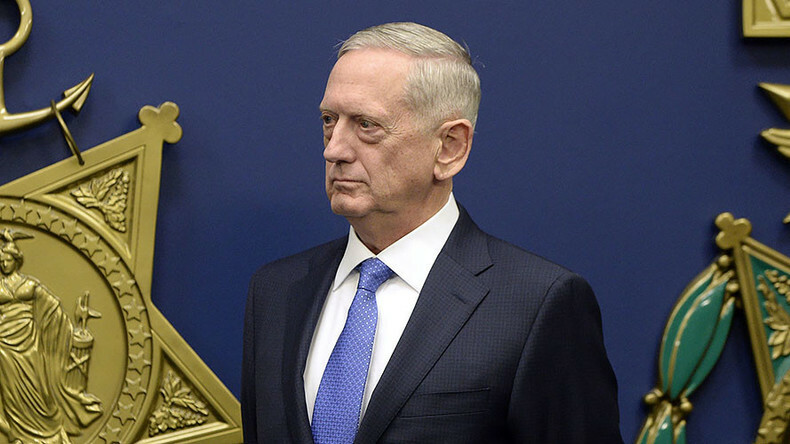 “As far as Iran goes, this is the single biggest state sponsor of terrorism in the world,” Mattis said at a press conference in Tokyo on Saturday. “I think it is wise to make certain that Iran recognizes that what it is doing is getting the attention of a lot of people,” the Pentagon chief added. “It does no good to ignore it. It does no good to dismiss it and at the same time I don’t see any need to increase the number of forces we have in the Middle East at this time,” he said. Tensions between Washington and Tehran escalated after an unnamed US official said on Monday that Iran carried out a test launch of a medium-range ballistic missile that exploded after travelling 630 miles on Sunday. The official told Reuters that the test was carried out from a site near Semnan, east of Tehran. “We’re aware that Iran fired that missile,” White House spokesman Sean Spicer said during a press briefing on Monday. Iran has also confirmed that it tested the missile, and that the launch was “in line” with its plans. “The recent test was in line with our plans and we will not allow foreigners to interfere in our defense affairs,” Iranian Defense Minister Hossein Dehghan told Tasnim news agency. “The test did not violate the nuclear deal or (UN) Resolution 2231,” he added. Nikki Haley, the new US ambassador to the United Nations, called the test “unacceptable” at the UN Security Council meeting on Tuesday. On Friday, the Trump administration ordered sanctions against over two dozen people and companies in response to Iran’s ballistic missile test. Those targeted by the Treasury Department include Iranian, Lebanese, Emirati, and Chinese individuals and firms involved in procuring ballistic missile technology for Iran, AP reported. The US president tweeted on Friday that “Iran is playing with fire,” warning Tehran that he won’t be as “kind” as his predecessor, Barack Obama. A landmark deal, brokered during Obama’s time in office, stated that Iran would dramatically curb its nuclear potential, but not completely, cutting the number of its centrifuges by two-thirds. The deal also obliges Tehran to cap its uranium enrichment program below the level necessary for bomb-grade material, and involves Tehran agreeing to reduce its enriched uranium stockpile from around 10,000kg to 300kg for 15 years. 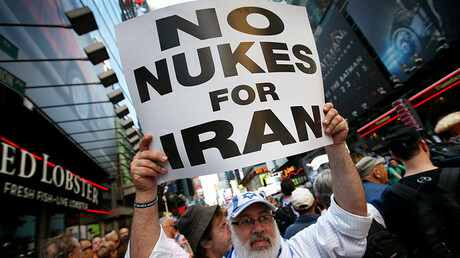 In exchange, long-standing international sanctions against Tehran were lifted. — Javad Zarif (@JZarif) 3 февраля 2017 г.
Tehran slammed the new sanctions imposed by the US, saying it would impose legal restrictions on American individuals and entities helping “regional terrorist groups,” a foreign ministry statement read, as quoted by Iranian TV. “The new sanctions... are not compatible with America’s commitments and resolution 2231 of the U.N. Security Council that endorsed the nuclear deal reached between Iran and six powers,” the Iranian Foreign Ministry statement from late Friday said.